There are many famous monsters told of in the tales of Greek mythology, and the likes of the Chimera and Cerberus are well known. There were plenty of other monsters though who are today all but forgotten, with one such monster being Carcinus. Carcinus was a monstrous crab of unknown parentage who appeared during the second Labour of Heracles, the killing of the Lernaean Hydra. Hera was watching the fight between Hydra and Heracles, hoping that the monster she had nurtured would kill her foe. Observing that Heracles was getting the upper hand in the battle, Hera dispatched Carcinus to attack and distract the Greek hero, hoping that this would provide a killing opportunity for the Lernaean Hydra. 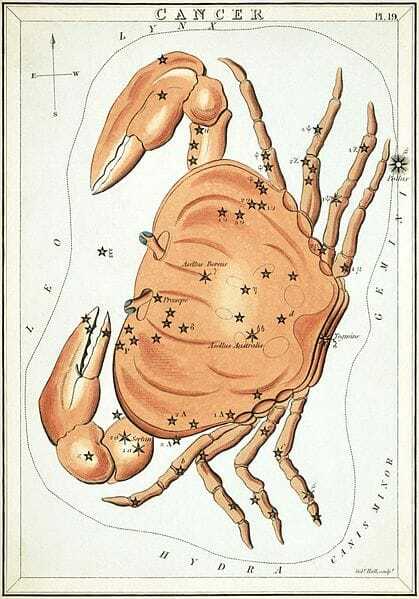 Carcinus though was not as deadly as the Lernaean Hydra, and although the giant crab managed to grab the ankle of Heracles with its pincer, Heracles simply killed it by crushing it beneath his feet.